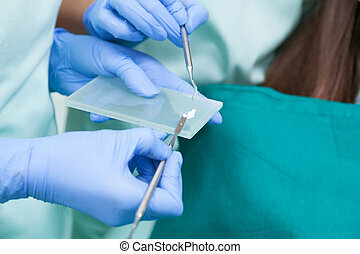 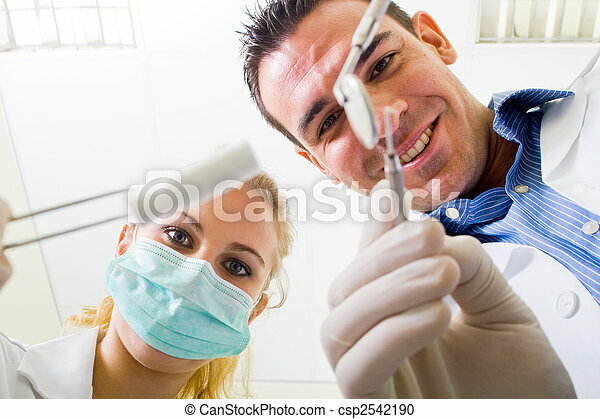 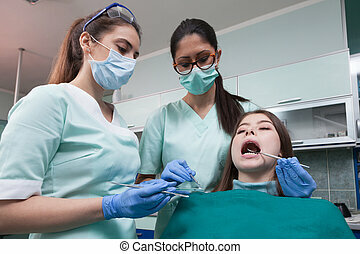 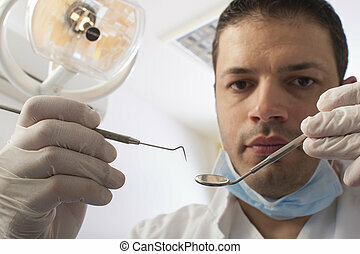 Two dentists looking down on a patient while performing a dental operation. 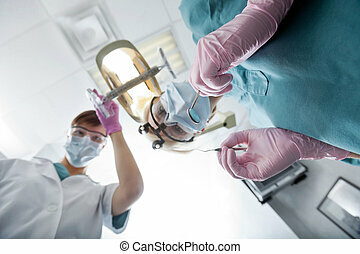 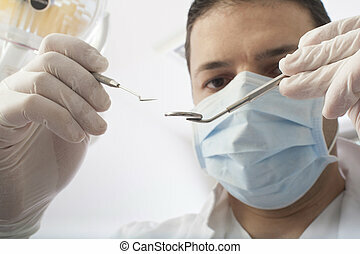 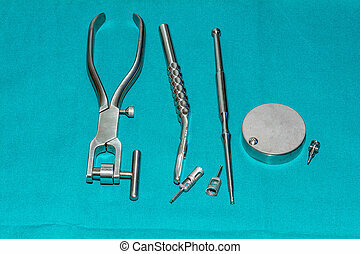 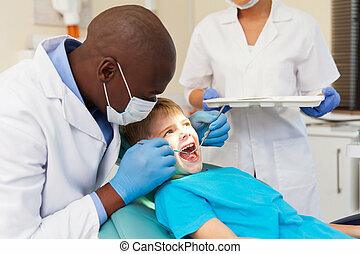 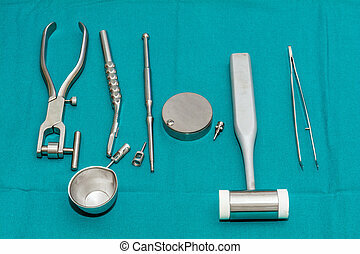 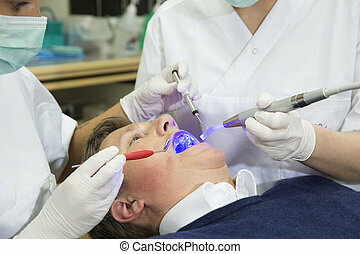 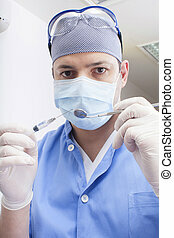 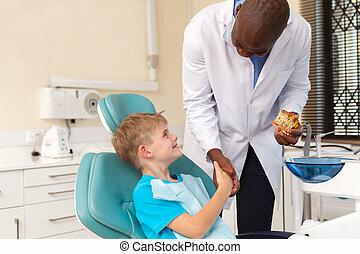 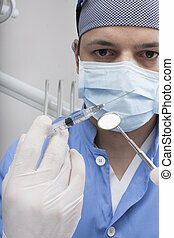 Dental operation, dentist with mask. 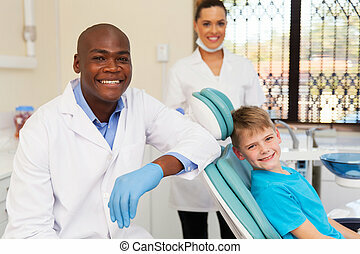 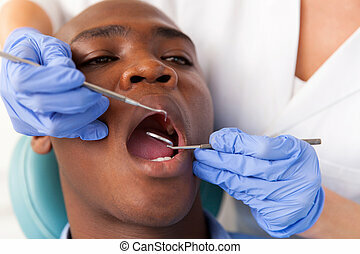 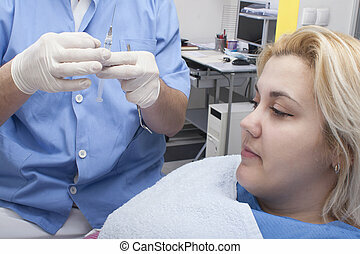 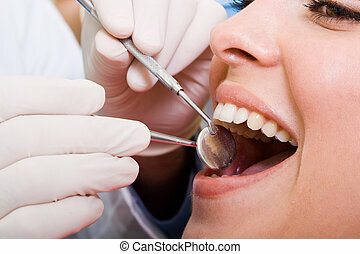 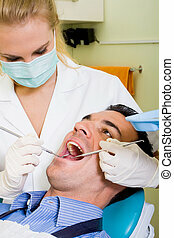 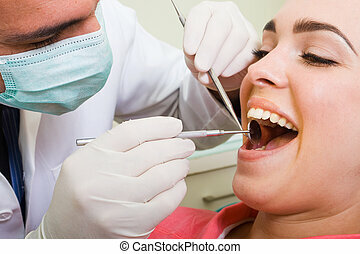 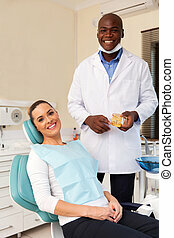 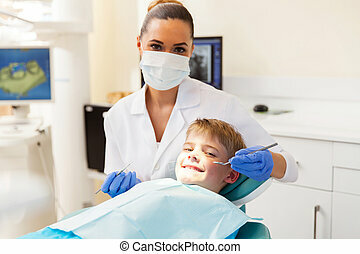 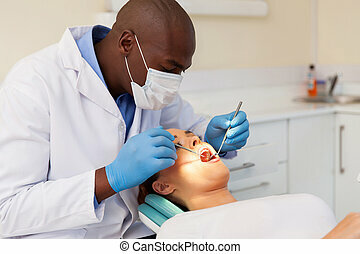 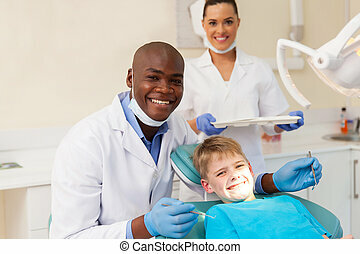 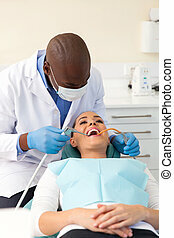 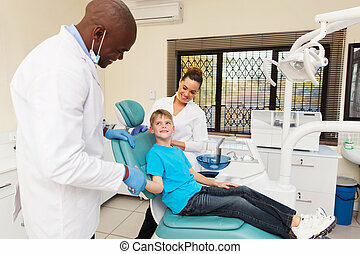 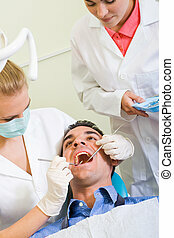 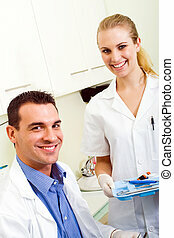 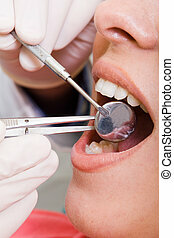 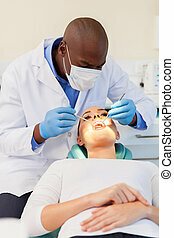 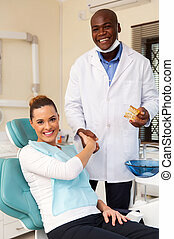 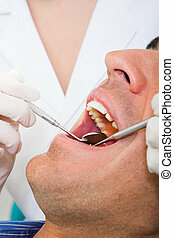 A young woman lies back on a dentist chair, as he checks her teeth. 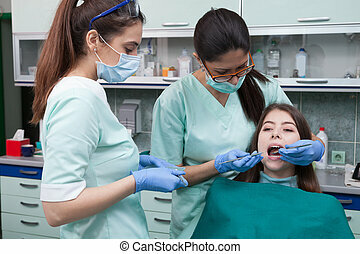 Close up macro face shot of woman being prepared for dental surgery.Hand with glove doing check up with mouth mirror on teeth.